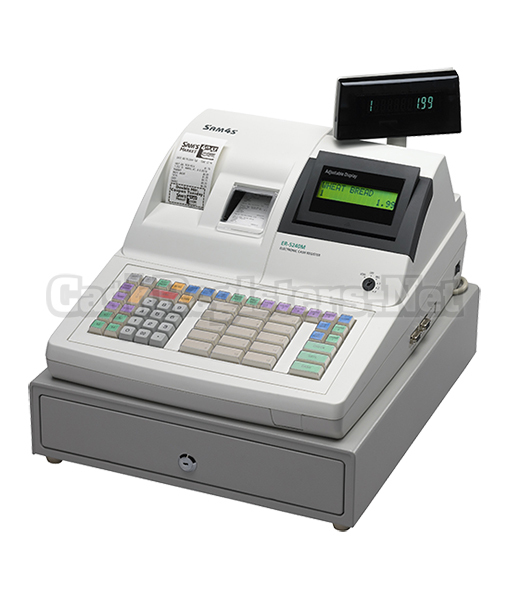 The SAM4s ER-390M is a Commercial Grade Cash Register Featuring a Full Size Heavy-Duty Steel Cash Drawer, POS-Grade Thermal Printer, and Key Lock Security for Voids, Returns and Reports. 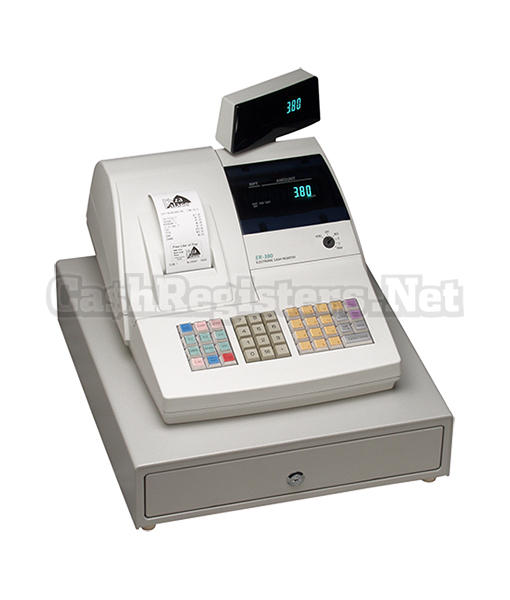 The SAM4s ER-390M is a perfect choice for any small retail or food service business. 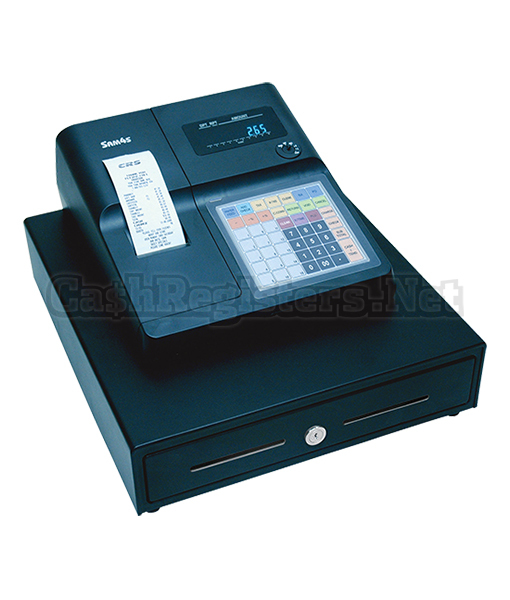 The quiet, high-speed thermal printer provides receipts that match the quality of high-cost POS equipment. Built-in memory can be assigned to capture transaction information for later sorting and review (electronic journal.) 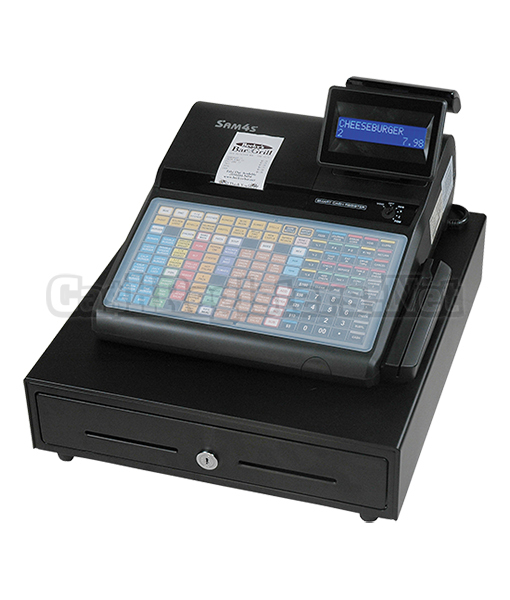 The flexible SAM4s ER-390M keyboard can be configured with the exact functions you require, providing security, cash control and critical sales information. • 500 price look-ups (PLUs) are available for open or preset item registration. 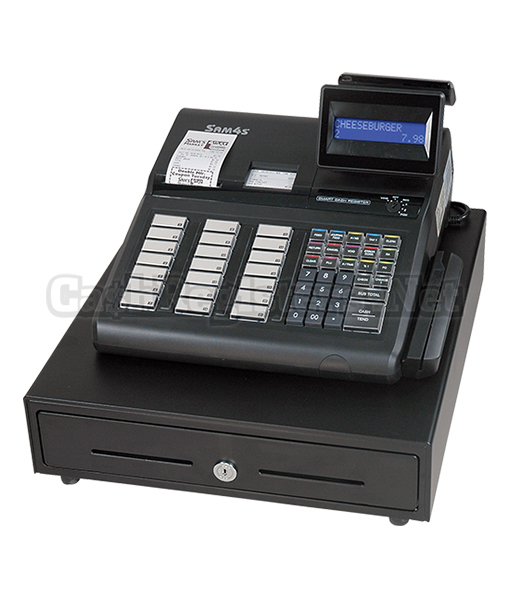 For direct registrations (departments), 60 NLUs (PLUs) are located on the ER-390M keyboard. 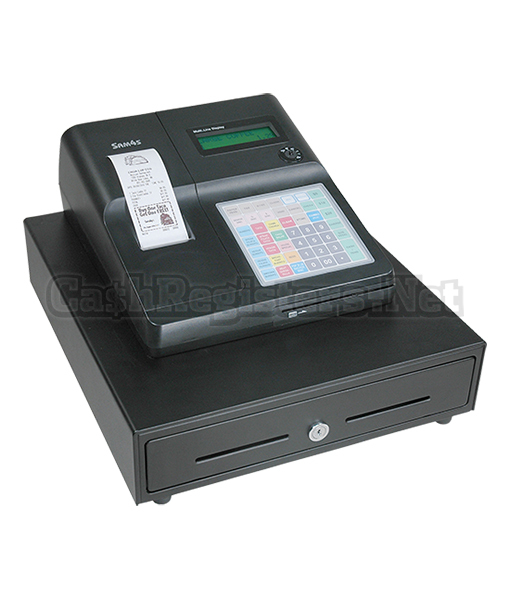 • Full size heavy duty metal cash drawer with compulsory drawer switch. Large 5 bill / 5 coin compartment insert tray. 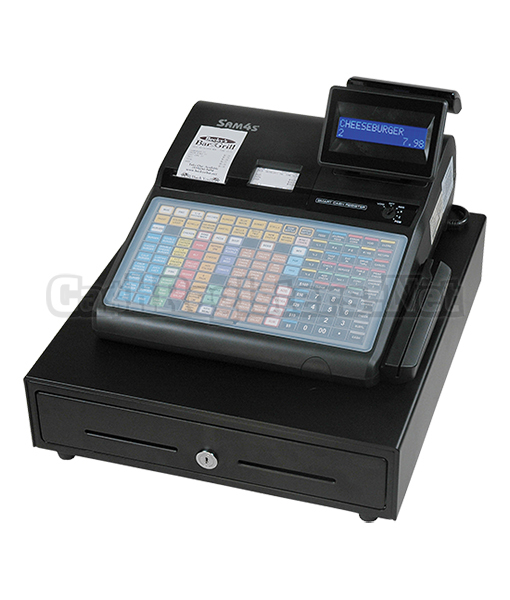 • Two-line alpha-numeric LCD front display. • Ten-digit position pop-up rear display. 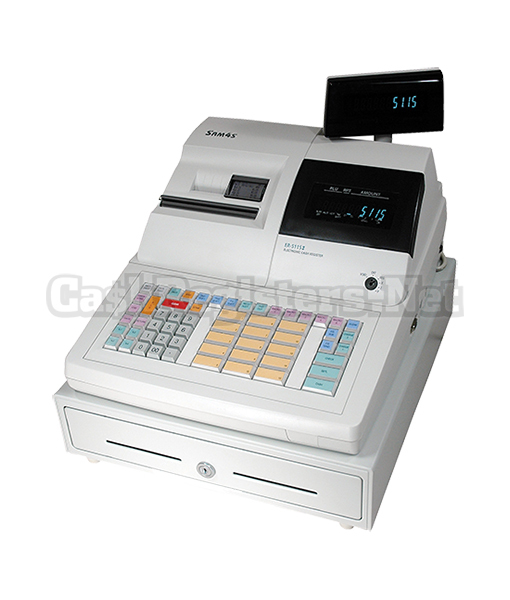 • 24-hour real-time clock with automatic day and date change. • 3,000 lines electronic journal are available. • 20 Group totals to accumulate totals of individual PLUs that are assigned to each group. Each PLU can be assigned to up to three different groups. 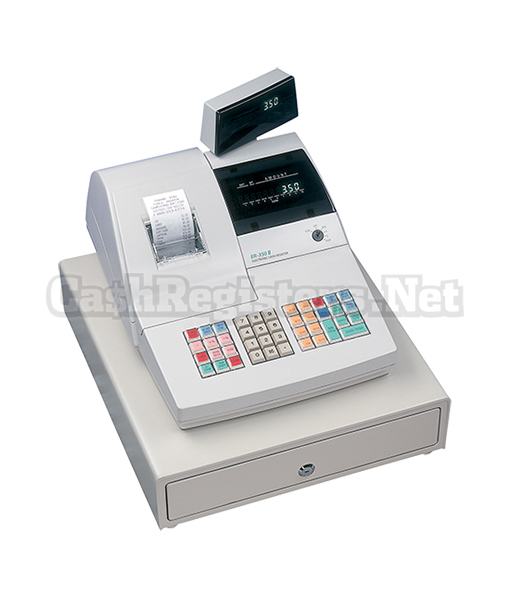 • 10 clerks or cashiers with separate report totals. 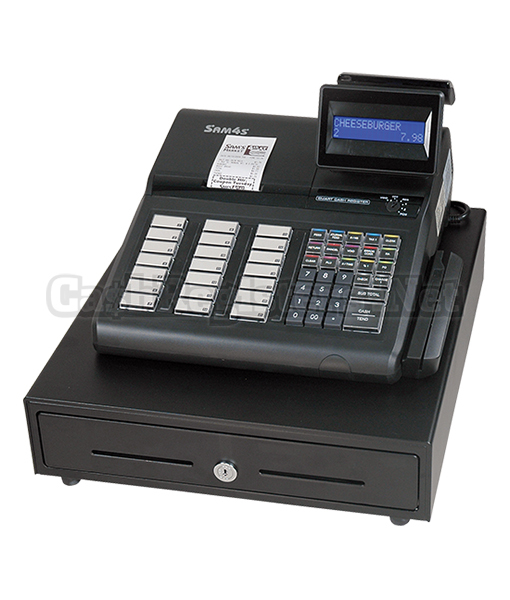 • A partial programmable keyboard allows customized placement of functions, as they are needed. 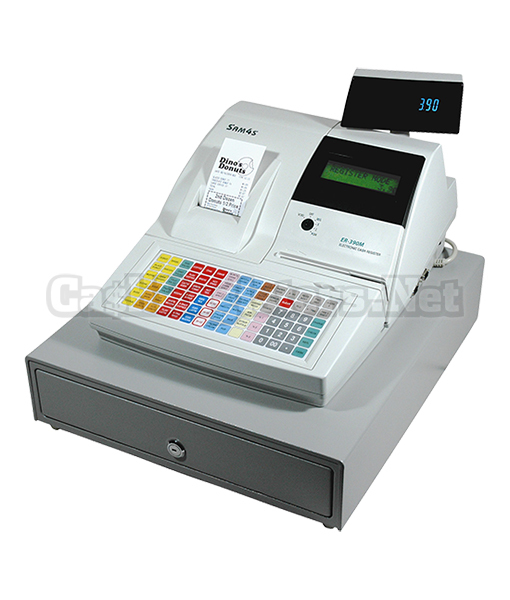 • Food stamp sorting and tendering for stores that accept food stamp payments. • Tax shift and tax exemption functions. • Check, Cash, and up to eight Charge keys. • Management X and Z reports include financial, PLU, clerk, group and sales by hour.